The Big Story Gospel Presentation app, created by InterVarsity Christian Fellowship/USA, is a creative way to share the gospel right from your smartphone or tablet. 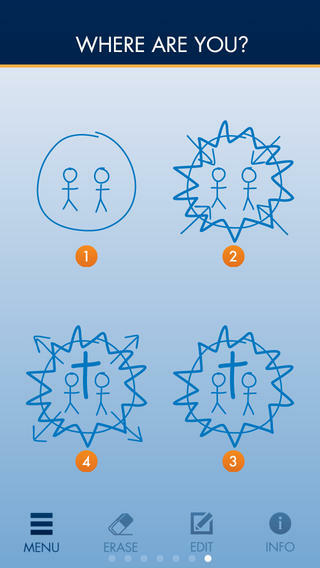 Based on material from “True Story” by James Choung, this free app helps you illustrate the main points of the gospel message by drawing four “worlds” on your screen. 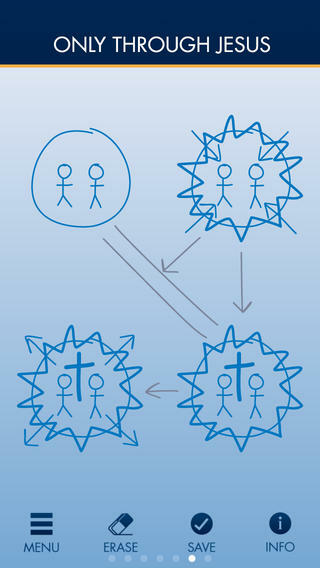 Suggested dialogue and Scripture references are included for each world to help you explain the gospel as you draw. The opportunity to make a decision for Jesus Christ and join his mission to heal the world is presented at the end; a suggested prayer is included. 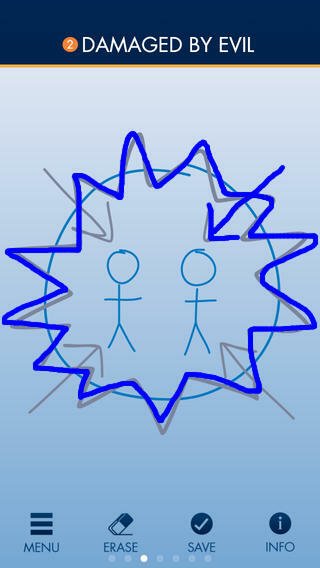 * Draw each world by tracing its outline as you explain each step. * Save or erase your drawings. * Flip each of your drawings over for suggested dialogue and Scripture references. * Offer a suggested prayer to Jesus for those who want to commit their lives to Christ. 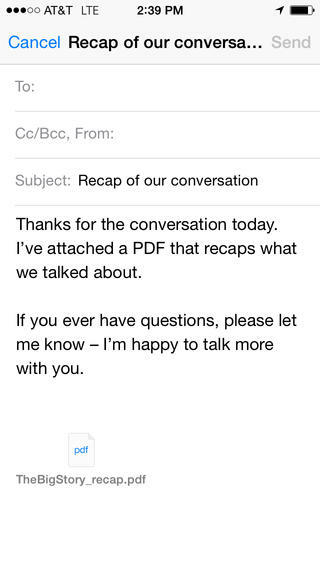 * Email a PDF recap of The Big Story Gospel Presentation to follow up after your discussion.